Me and the "organ" console in the cave. It's dark, because it's a cave. The "stalacpipe" mechanism, with hammer on top. They called the instrument the "stalacpipe organ." Some of you might be wondering, can this instrument really be an organ, since it does not use air vibrating through pipes to create sound? Well, those of you wondering this might be right. While an organ doesn't necessarily need pipes, it does need air (not counting the electronic ones that imitate naturally-occurring sounds). The "stalacpipe organ" is really more like a celesta, an idiophone that uses mechanical mallets to strike stone instead of metal. But I guess the stalacelesta doesn't really sound as cute. Also, if there were only 37 notes, there is probably no need for the 4 manuals and many stops (much less foot pedals) shown here; they are really just for show. We did not hear a live performance of the instrument, only a playerless program of "A Mightly Fortress is Our God." While I could tell the instrument sorely needed some repairs, the sound was eerie and cool (which I guess I could say about the caves as a whole...). It was also very quiet, but that fit the atmosphere of the caves. While in modern times, we have basically stopped using stone to make music, there is a long history of stone musical instruments, and I could see (or hear) why. Click here for a recording of the instrument (I assume the loud pops are drops of water hitting the ground). This week, I realized that I haven't gone to an orchestra concert in a long time, maybe two years, discounting orchestra concerts in which I've actually performed. I began to wonder, why is that? I like orchestra concerts. I love the amazing combination of timbres and the virtuosity that they can produce There are plenty of opportunities to go in my area, professional and student. 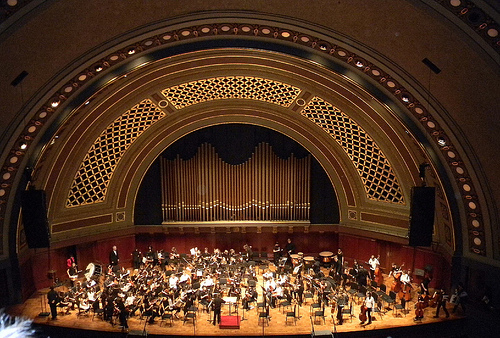 I have strong memories of orchestra concerts I have attended in the past, some of which changed my life. Orchestra concerts, especially professional ones, are expensive for my current budget, even for student prices. Let's face it, I'm pretty demanding as to musical quality, and don't want to be let down, especially when I've shelled out a lot of money. For a long time, listening to art music was "work" for me; it's what did all day. Because of that saturation, when I had free listening time, I would listen to popular, folk, or jazz music. Now that listening to art music is no longer work, I'm more open to listening to art music, but my old habit of listening to other music still holds some sway. At the moment, I'm very interested in new music, and most orchestras don’t play new music, or even old music I haven’t heard before. Most orchestras are not doing well financially, and they have decided they make the most money playing old, familiar music. Even when these orchestras decided to do something different, "new" music to a symphony orchestra is usually 60-100 years old, which is hardly new at all. Most accessible new music being produced is popular music, so that's where I'm spending my listening time and concert money. What types of concerts to you usually go to, and why? The French band Phoenix (obligatory mention that lead singer Thomas Mars is married to Sofia Coppola) put out their 5th studio album in April, and I finally got a chance to listen to it. I've been following Phoenix for a while—I was able to see a live performance of the band while I was in Switzerland as part of the tour for their last (and most popular) album Wolfgang Amadeus Phoenix. The concert was good, despite the lack of effort for audience participation. So I had fairly high expectations. Bankrupt! got better the more I listened to it, which I can also say about its predecessor, Wolfgang Amadeus Phoenix. Bankrupt! has catchy melodies, well-constructed into songs, with some unpredictable and exciting chord and texture changes. Though I can't prove it, I would bet that there was some influence from minimalist Philip Glass, especially in the expansive, mostly instrumental title track, "Bankrupt!" The revival of Glass's Einstein on the Beach played in France in March 2012, and it's just possible the band would have caught it there. Of course, musical minimalism has been around for a while. While Bankrupt! is not as "experimental" as the band touted, it was still a step in new direction. 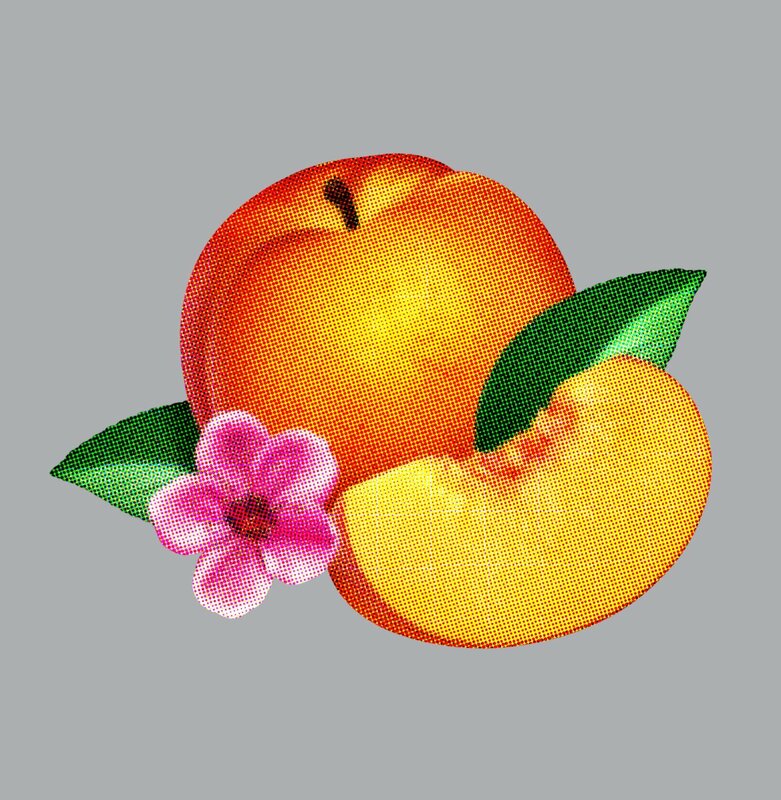 Lyrically, although some reviewers praise Phoenix for their message in Bankrupt!, I think this album features a similar lyric approach to their other albums—the copious words only slightly make sense, enough so that that songs are cohesive, but not enough that someone can definitively say what's going on. Sometimes, I think the words are chosen for their sounds instead of their meaning. This approach is simultaneously charming and disappointing. But in my opinion, words aren't the point of a Phoenix album. My main complaint about this album is the same complaint I've had about Phoenix since their 3rd album, It's Never Been Like That—the songs are too similar to each other. First, the band has a way of immediately repeating musical and lyrical phrases; while sometimes this is quirky and endearing, at other times it tries my patience. Second, while each song's hook keep the different tracks separate and memorable, I keep wishing that texture and timbre (or sonic palate) changed more from song to song. For example, I think the strong, oriental-sounding synthesizer in "Entertainment" was fine, but it kept creeping back at odd times throughout the album. I do think that the compression (an audio engineering process to raise the relative volume levels of the quiet parts, making song sound louder) does not help the album. On the whole the sounds are less than clear, sometimes annoyingly fuzzy. Compression also leads to flat dynamics, which describes a fair amount of this album. If I had to rank Phoenix albums, I'd place Bankrupt! 3rd, after Wolfgang Amadeus Phoenix and their 2nd album, Alphabetical, the album I think did the best of exploring new sounds and textures (Alphabetical also has the best Phoenix single, "Everything is Everything," which you should check out if you haven't heard). My conclusion? If you liked Wolfgang Amadeus Phoenix, you should like Bankrupt!, too—but listen to it a couple of times before making a call. This week I was traveling through some new states for me (South Carolina, Georgia, and Florida), and while there were some new and different things in each place, one thing that struck me is how the same some things are, especially consumer outlets: strip malls, Walmarts, Targets, McDonald's etc., basically the same stores everywhere. I'm caught up in wanting that homogeneity, too; If I like a store or brand, I want it to spread. I think this is one aspect of life that we as Americans struggle with. We are drawn by the consumer market (that's what the market is good at), but shopping at those stores or keeping up with the Joneses doesn't give us human connection or fulfillment, which is what we really need in our lives. While the line "But we haven't got real friends, and now even the fake ones have stopped calling" (which comes up late in the song) crosses the line a little from show to tell, it is the first line of this upbeat song that tells the truth about this couple: they are drowning in their own loneliness. This loneliness is only exacerbated by the white noise of the stereotypically male workshop shop vac downstairs and the woman's TV soap operas upstairs, which drown out their real feelings and don't let either connect personally with each other or anyone else. It seems when the couple does communicate, it's about inconsequential commercial things, like which Starbucks is better, because "the other one's not as good" (the online reviews in the animation is a nice touch). The underlying TV announcement during the last verse tells of the final result: a man going crazy. It turns out brand fulfillment is no fulfillment at all, and he dreams of fleeing from it all. But since he can't run, he continues to drown it out with more assigned stereotypes and consumerism. So what does the song's music accomplish? Well, it is an upbeat, catchy song with 50s-sounding handclaps. This facade leads the listener into believing that the couple are doing exactly what they want to. But gradually, the listener becomes aware of the tension between the happy music and the sad state of the couple and the music becomes a symbol of another empty brand. On a more minute analytical level, there are three main sections of the verse, each with its own set of chords. Having three sections with different chords allows for Coulton to switch emotions quickly and effectively at the beginning of any of these sections. Also, the verse starts with longer phrases, with some space in between them, but as the verse progresses, the phrases get shorter and more frantic, which builds to the chorus both emotionally and musically. Whereas a bridge normally takes the song to a new emotional level, this bridge takes the song to a new level of inane, again underlying the musical sarcasm of the song. It is a nice change of texture, too, breaking up the music nicely. The chorus is catchy and memorable, which means that most people might actually memorize the chorus before they realize that the lyrics are actually tragic, the protagonists separate and alone. This only underlines the song's musical sarcasm. What do you think of "Shop Vac"? Do you have a favorite song that portrays the American condition? It may be iconic, but the U.S. Flag gets a C+ rating on this rating system. Photo from Flickr. What makes music patriotic? Two things: lyrics and tradition. What about lyrics (or the words of a song) makes something patriotic? Usually, mention of place, coupled with a sense of nostalgia or importance. Often, just repeating the place name is enough, as long as the mention is a positive one. Music is a great way to imbue or communicate these positive feelings into an idea, granting the word pomp, especially in the right circumstance. As for tradition, repetition, especially at symbolic occasions, can lead to song symbolism very quickly. Think of the national anthem sung and played at important civic and sporting events, usually accompanied by raising a flag. Can you have patriotic music without words? This is much harder, but it is certainly possible. Even a simple patriotic title can go a long ways. In this case, repetition resulting in tradition is really the only recourse. Tchaikovsky's 1812 overture, despite its European story, has become to be associated with patriotism almost because of sheer repetition. It does, however, have some words associated with it, if only a title and a scenario. Perhaps cannons help, too, especially since our independence day traditions are so bombastic. "What about the music?" You might ask, especially if you are a regular reader of this blog. Well, I'm not sure the music makes much of a difference to whether a song is perceived patriotic, other than that the right music can twist and make fun of a known patriotic lyric. I'm not about to define what makes music convey genuineness or gravity. Certainly, there is a certain style (on a European model) that most countries in the world favor for their national anthems, but patriotic music is not limited to this style. 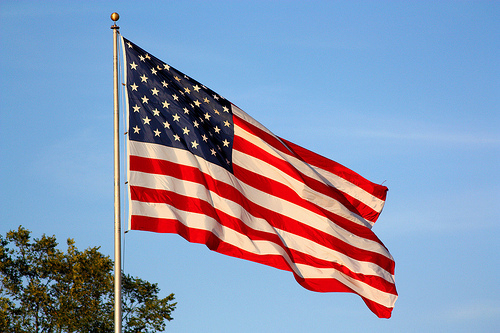 Here in the United States of America, our most prominent patriotic song is "The Star-Spangled Banner." Perhaps one downside to its symbolic success and ubiquity is that many Americans don't even listen to the words anymore. In fact, surprisingly, the majority of Americans don't know the words or even what the song is about. In 2007, to combat this dearth of knowledge, the largest national educator's organization, MENC, put together a national anthem roadshow to help, which received a lot of attention. Some educator factions would like to change the national anthem to "America the Beautiful," because "The Star-Spangled Banner" is actually really hard to sing. Although its difficulty makes it great for divas to sing at sporting events. If you want to know more about the national anthem, especially Jimi Hendrix's fascination with it, you should definitely check out Mark Clague's forthcoming book "O Say Can You Hear: A Music History of America's Anthem." Do you have a favorite patriotic song? Can you think of examples of patriotic songs without words? What do you think makes music convey genuineness or gravity?